"Ratna, today you are a woman. As soon as we finish preparing your dowry, you will marry." The 13-year-old girl knew the negotiations were final, and that she would soon participate in elaborate marriage rituals performed by a "holy man" from the nearby village. Then she would move in with her husband's family. She would wear conch shell bangles and put vermilion in the part of her hair to show that she is a married woman. Ratna accepts her fate of an early marriage without question. She will spend the rest of her life caring for children, cooking rice and making baskets from reeds. There is no thought of schooling, and she is illiterate like the other 96 percent of females in the Bind culture. Ratna's Bind family lives in West Bengal. They practice the Hindu religion and worship family deities as well as traditional Hindu gods. 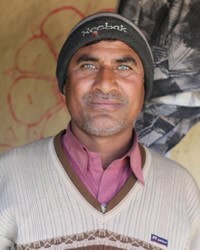 Their people group is among the most unreached. They have no idea that Jesus loves them and has provided for all their spiritual needs. * Ask God to prepare their hearts even now for the day when the Bind people hear the gospel. * Pray for the Holy Spirit to move miraculously in West Bengal where few people have the eternal hope that comes from a relationship with Jesus. 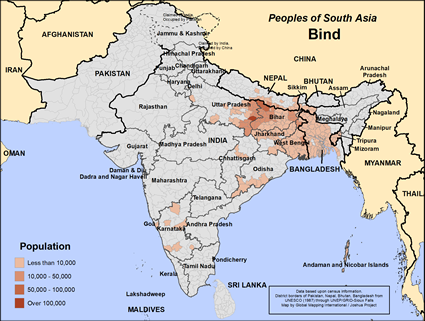 * Pray that the Bind people will learn about Christ, and embrace Him alone.View Bindla in all countries.